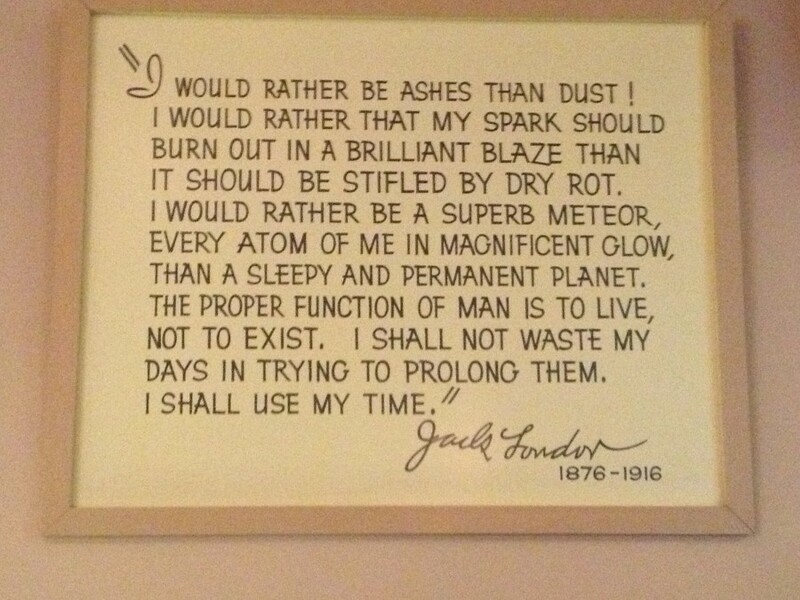 Posted in the Museum at Jack London Historic State Park in Glen Ellen, California. Things have a way of converging. 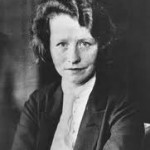 Today I stumbled across this essay about Edna St. Vincent Millay. Last week I had returned to her book of poetry, concentrating on the sonnets. Yesterday we visited the ‘Beauty Ranch’ of Jack London (b. 1876) a contemporary of Millay’s (b. 1892), more or less. London and Millay had plenty in common, though from opposite coasts of the United States. They both embraced life with a vengeance born of poverty and abandonment. They were both, unfortunately, addicted to morphine (London when being treated for kidney stones and Millay for pain following a car accident). Their free spirits were in spite of the times and because of the times. The industrial revolution and dreadful working conditions inspired London’s brand of socialism. The World Wars contribute to Millay’s political voice of isolationism, her gender to her studied indifference. Overall, they both sang of individualism and freedom, the personal struggles and high-flying spirits of those who love to live, and live to prevail. 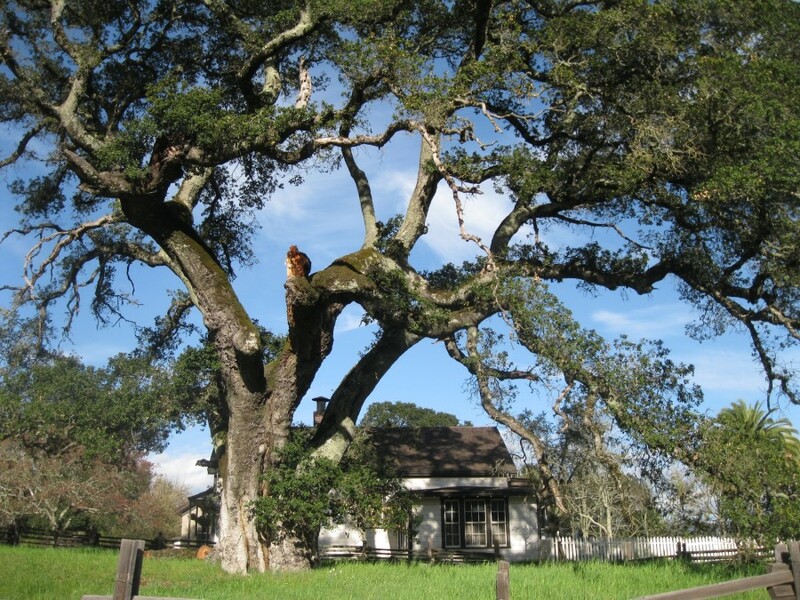 Jack London State Park, Glen Ellen, California.